If you’re a Combined Heat and Power specifier, Specification Online recently detailed how CHP needs to be a key consideration for energy ministers looking to fulfil the aims set out in the Government’s ‘Building our Industrial Strategy’ green paper. The paper covers two important areas of the UK’s energy policy, being the affordability of energy for businesses and securing industrial opportunities for the UK economy of energy innovation. 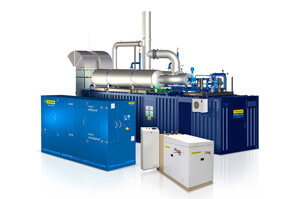 Of course, CHP is greener and can help reduce energy bills dramatically when compared to conventional energy generation, but when do you know exactly when CHP is the right choice for any given project? Here at shentongroup, we’ve compiled two dedicated CHP whitepapers. The first is entitled ‘When is CHP the right renewable energy choice?’ and covers the benefits of CHP, where CHP systems should be specified, along with an example of CHP project-feasibility studies. The second whitepaper, entitled ‘Design and operational considerations to get the best performance from CHP systems’ looks in detail into design, operational strategies, G59, spatial and acoustic considerations and also highlights some of the common pitfalls encountered in CHP system design. So please take a read of our two CHP whitepapers and you can also request your free CHP desktop study now.